On Aug. 18, the Asian Games opened in Jakarta and Palembang, Indonesia. Also known as the Asiad, the 18th version of the quadrennial games is the world’s largest multi-sport event aside from the Olympics. Hundreds of thousands of athletes, spectators and media are flowing into international airports on the islands of Sumatra and Java to take in the spectacle. And when they board trains to reach their destinations, electrical equipment from ABB helps them stay safe. 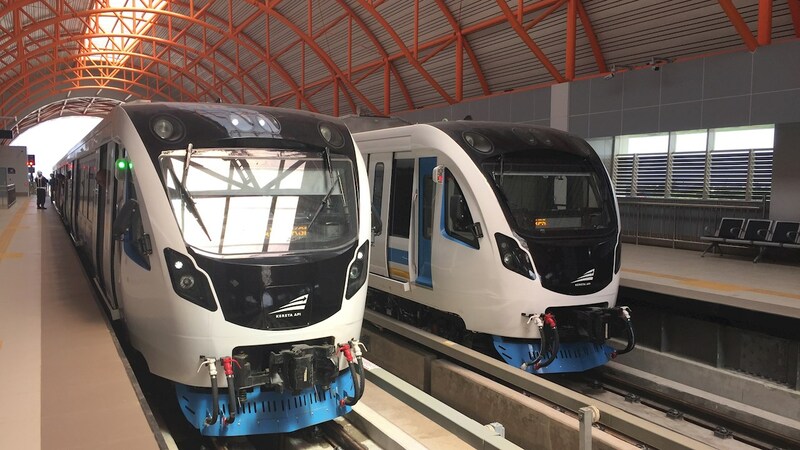 Indonesian railway rolling stock manufacturer PT Industri Kereta Api, also known as INKA, chose ABB for the daunting task of providing electrical service for the new Soekarno-Hatta Rail Link (ARL) and Light Rail Transit Palembang (LRT) service trains, built in part to usher in the games. Finished early this year, the ARL carries passengers from Soekarno-Hatta International Airport in Tangerang city directly to the capital city, Jakarta, on the island of Java. The LRT, which opened this month just in time for the games, carries passengers from Sultan Mahmud Badaruddin II International Airport to Palembang on the island of Sumatra. Fire safety and the ability to withstand motion and impacts are key challenges to installing electricity on rail lines and equipment, along with the need to protect moving electrical wiring from electro-magnetic interference and external signals. Drawing on its extensive international experience in railway projects ranging from the 900-million-passenger-per-year London Underground to the environmentally challenging Jungfrau Railway in the Swiss Alps, ABB supplied internationally certified equipment for rolling stock on the ARL and LRT lines. The projects include Adaptaflex® flexible conduit and fittings, which comply with international railway standards by applying Low Fire Hazard (LFH) technology and Electromagnetic Compatibility (EMC), to lace electrical service through the system’s cars. ABB also supplied AF contactors, manual motor starters, pilot devices, electronic relays and controls, and miniature circuit breakers.